October 22, 2018 -Phore will now be posting regular development updates on what our developers, marketers, executives and the rest of the team are up to here and on our website: phore.io. 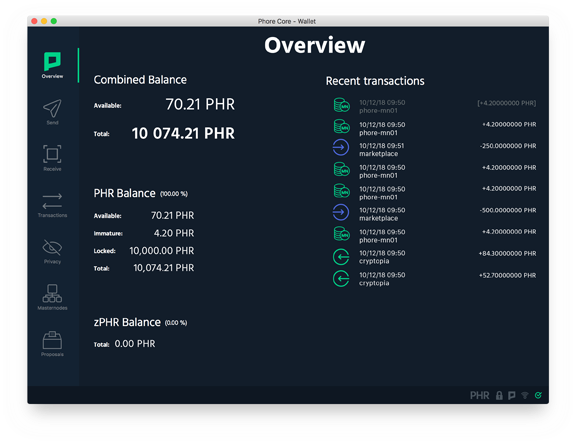 Phore developers are testing the next wallet release which features an entirely new User Interface (UI). The UI is completely new with updated icons and colors. This wallet release is designed to take advantage of network improvements and will be a mandatory upgrade. Look for release information within the next few weeks. Phore recently added two new team members: Erik Velie, PhD joined us as our new General Legal Counsel. He is the founder of Victory Law group, LLP. As a leader in his field, he maintains a dual focus on his firm and his many entrepreneurial endeavors. Throughout his career, he has made a concerted effort to combine his penchant for technology and cryptocurrency, with his deep-seated need to help people, and his prowess as a litigator. 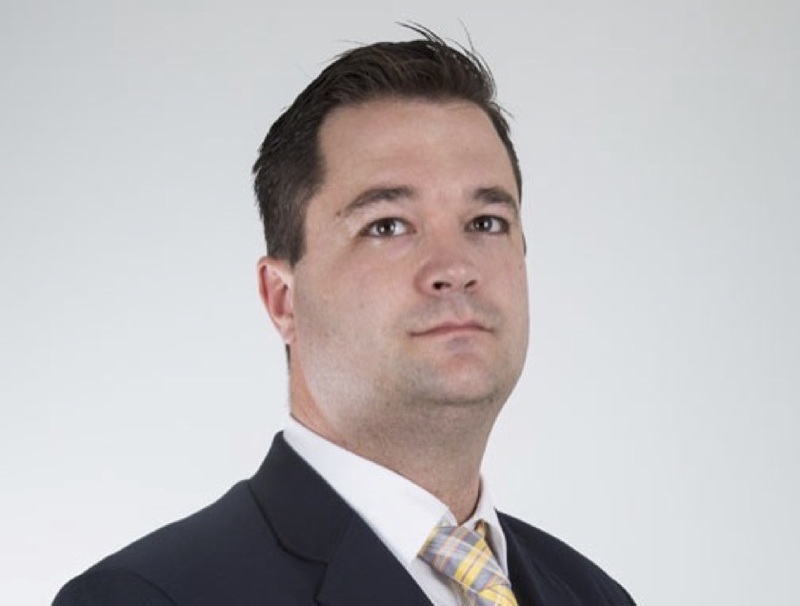 Tom Berg, Managing Partner of The Digital Ledger, a blockchain consulting firm that serves a broad range of clients, including high profile businesses and individuals. Mr Berg joined the team as a Strategic Advisor, and he will consult with the executives of the Phore Blockchain project regularly to help guide short and long-term strategic direction, share industry knowledge, foster partnerships, and create beneficial relationships. In other development news, we are working on adding new Phore Marketplace features, fixes and improvements. The Phore Marketplace is a decentralized application (dApp) and is available now in open beta format and buying and selling is actively taking place now. The developers are also focusing on building out the Phore Synapse (Smart Contract) beacon chain. An important part of sharding (essential to our is BLS signature aggregation which allows signatures from a large group of people to be aggregated into a single signature. We’ll be using the BLS12–381 curve similar to ZCash. Performance and reliability of this library is extremely important because this determines the shard capacity of the network. After we build out the BLS library for Go, we’ll be able to finish beacon-chain block validation. After this, we’ll be designing an RPC interface for the Phore Synapse daemon, the P2P networking protocol, and begin work on the shard chains. Twitter, Telegram, Discord, Bitcointalk, Reddit and Facebook.